With so many wedding-related items on the market, it can be difficult to narrow down your options and choose the pieces that work best. Thankfully, establishing a theme for your reception can help make the planning and execution easier. If you’re throwing a pretty-in-pink lemonade event, there’s one area that will need your full attention – the candy bar buffet! Providing a wide range of sweets for your guests is an easy and fun way to show how much you care about them. Putting together a large table of confectionery treats doesn’t have to be difficult, and most of the planning will simply require gobbling down tasty pieces in order to find the perfect offerings for your special day. 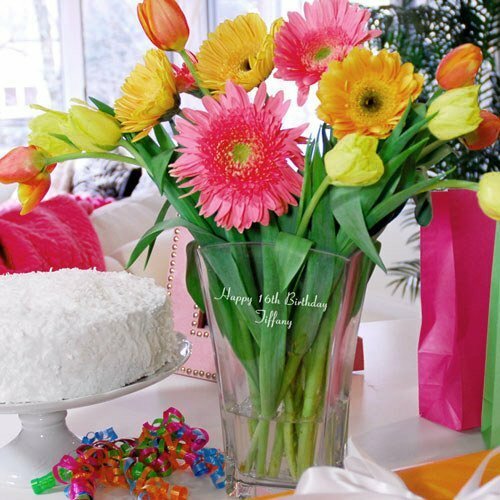 Decorating a table to hold the edibles you choose is easy, since the brightly colored candy will act as the main focal point of the setup. Now, the extras: First, be sure to use a wide variety of personalized glass jars as containers in order to display your candy collection. If you want to vary up the style a bit more, purchase clear containers of all shapes and sizes and slap a personalized wedding label on each to give the jars a cohesive look. 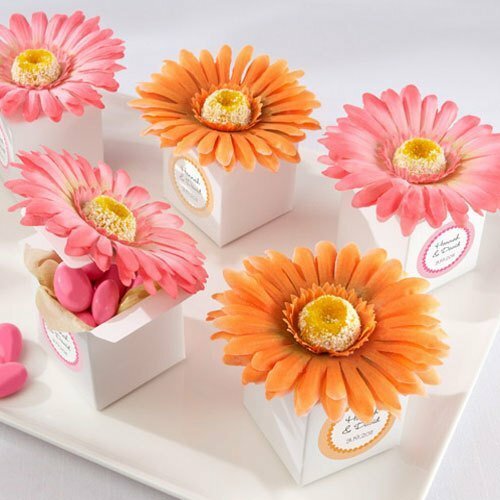 Decorate the empty space on the table with colored paper parasols and Gerber daisy favor boxes, which can be filled with candy and taken home as party favors at the end of the night. The result will be as tasty as it is delicious!